Following months of delay, the Minister for Finance has signed the Statutory Instrument to put the Register of Beneficial Ownership (RBO) in place. 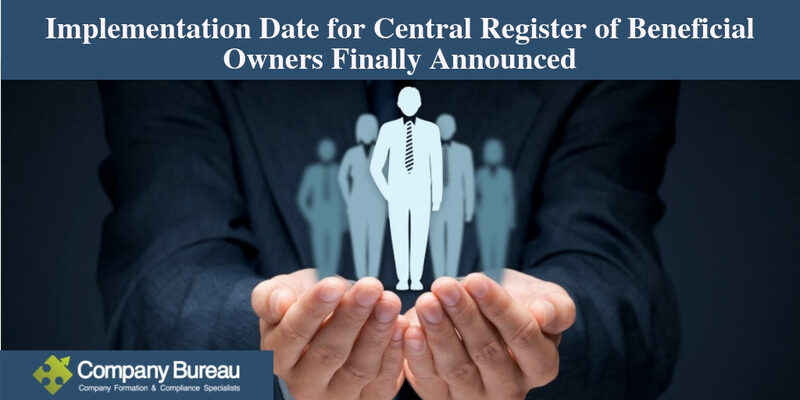 This instrument provides for the appointment of a Registrar to administer the new RBO which will require detailed information submitted on any shareholder holding 25% or more in a private company, trust, industrial and provident society or other applicable entity. The online portal for filing is expected to go live towards the end of May in advance of the register going live in June. Since the implementation of the 4th AML directive, companies have been required to maintain their beneficial ownership register internally. As such, once the requirement formally kicks in, the company will simply submit the RBO electronically. The 5-month transition period will apply to all currently incorporated applicable entities, with newly incorporated entities having a 5-month period within which to file the same information. Who can access the beneficial ownership register? The new legislation also clarifies who can access the information held on the register and under what circumstances. An Garda Síochána, the Revenue Commissioners, the Criminal Assets Bureau and other competent authorities in Ireland or within the EU will have unrestricted access to the information. Restricted access will be available to designated persons who will be given permission to view a certain level of information based on a business transaction or relationship. In line with the above, information held on the RBO should be maintained as alterations to the company structure is made. The company should mirror any changes made to the company, with the onus being on the company to ensure the information is correct. Fines for not submitting and/or maintaining the beneficial ownership register for their company can be as much as €500,000 following summary conviction. In addition, the new legislation has added the PPS number of the beneficial owner where applicable. That is to say, if the owner is not required to have one in place, the requirement to list one is not in force. However, where a beneficial owner has a PPS number it should be listed. The registrar shall not disclose the PPS number of an owner. To find out more about the requirements under the new EU (Anti-Money Laundering: Beneficial Ownership of Corporate Entities) Regulations 2019 or what the Register of Beneficial Ownership means for your company, don’t hesitate to contact the Company Secretarial team on cosec@companybureau.ie or call the office on 01-6461625.